Fin 1960 in a small ballroom with the support of the residents of Anleo, in the North of Spain, our activity started as producers of French cheese varieties under the brand name Reny Picot. At that time, the Spanish dairy sector was still at an early stage of development, and we realised the opportunity to create a company specializing in the production of camembert cheese. On the first day of production we used 124 litres of milk and obtained about 15 kilograms of camembert. After only a year in business, we decided to branch out into the manufacture of other varieties of cheese. This also permitted us to reduce the indirect costs associated with a surplus of buttermilk. We then started to produce butter. Between 1975 and 1985, we consolidated our position as a leader in the production of milk powder and butter in Spain and as specialists in infant formula, giving rise to a close collaboration with leading laboratories in order to work on technological improvements concerning the treatment of whey. At this time, we also took our first steps into the field of UHT milk. During the 90s, we improved our position in the cheese sector with the acquisition of ‘Industrias Lácteas Montelarreina’, specializing in traditional Spanish cheeses, and the purchase of a small factory in the Dordogne specializing in the production of goats’ cheese. At the same time, we increased our presence in the fluid milk market with the purchase of the Asturian factory, La Polesa. Always using the latest technological innovations, in 2003 we developed in Anleo a process by which we separate and treat the fatty acids of milk to obtain various types of fractionated butter. Today, Industrias Lácteas Asturianas S.A., known in the industry ILAS, is a leading multinational dairy company producing all kinds of dairy products. In addition to supplying the domestic market, we export worldwide and have factories in five different countries. 1960 Creation of Reny Picot S.L., today Industrias Lácteas Asturianas S.A.
1969 The first expansion of the factory is completed. 1970 ILAS begins as a producer of butter. 1973 Creation of La Polesa. 1974 Second extension of the factory in Anleo adding a second dryer for whey and milk. 1975-1985 Consolidation as leading producers of butter and milk powder. Close collaboration with leading laboratories for the treatment of whey. Entrance to UHT milk production. 1982 Establishment of the subsidiary in Mexico. Acquisition of Old Europe Cheese USA Inc.
1990 Acquisition of Le Chèvrefeuille SA, France. 1994 Establishment of Beijing Evergreen Dairy Products Corp, Ltd.
1995 Creation of Cogeneración de Navia S.A.
1996 End of the agreement with Parmalat. 1997 Creation of the subsidiary in Portugal, ILAS Portugal. 2000 100% Acquisition of La Polesa. 2007 Purchase of the Dairy Cooperative Ciechanow, Poland. Expansion of the Mexican plant. Expansion of the subsidiary Old Europe Cheese. Installation of evaporators and whey dryer. Mechanization of the semi-soft cheese production in order to double the capacity. 2009 Restructuring of the factory La Polesa to produce sterilized milk. 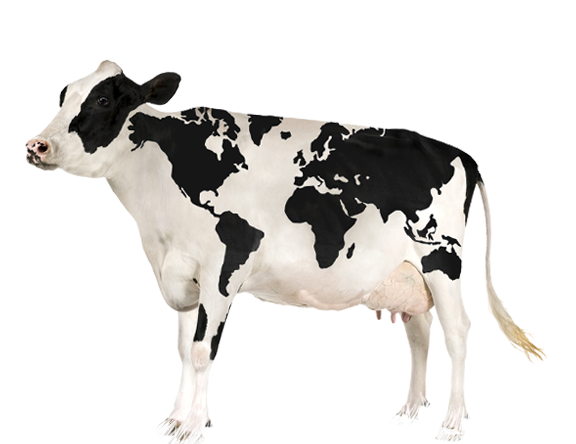 The natural consequence of our business success and our growing experience in the manufacture of dairy products was to look beyond our borders, not only to export our range but also to position ourselves in other countries where ILAS had and has much to offer. Thus in 1982 Mexico became the first overseas venture for the company, with the opening of Industrias Lácteas Chihuahuenses. Two of the main reasons for our choice were the common language and the cultural affinity that unite the two countries. Another powerful reason was the opportunity to make use of the excess whey generated by the extensive cheese production in the state of Chihuahua, opening a niche for the company that no one had yet taken advantage of. Today, our Mexican plant is the only producer of demineralized whey in the country, exporting to Europe and Asia. Our branch in Mexico also produces milk powder. Following the success of the Mexican adventure, the company decided in 1988 to cross the border into the USA with the purchase of Old Europe Cheese Inc. Located in Michigan, the factory is aimed solely at the production of European-style cheeses (including Brie, Camembert, Edam Ball, Gouda and Fontina), a decision motivated by a niche in the US market for such cheeses, which were mostly imported at the time. This factory and our plant in Zamora (producing Señorío de Montelarreina and Señorío de Castilla) have earned over 100 international awards for their cheeses. In 1990 comes a new opportunity: a small factory of French cheeses, Le Chèvrefeuille, and ILAS decides to acquire it. Thus, we make the entry into the European market through the development of goat cheeses from France. In 1990 a new opportunity arises for ILAS, in the form of a small factory of French cheeses called Le Chèvrefeuille, situated in the heart of the Dordogne region. With this acquisition, we enter the European market with the development of a range of French goats’ cheeses. Our arrival in the Asian continent is through the Chinese market, an adventure that begins in 1995. The market today is somewhat limited to infant formula because they are relatively easy to transport and to store. China is a significant consumer of infant formula, a sector in which ILAS has considerable influence. Our gateway into Eastern Europe is through the acquisition of the Dairy Cooperative of Ciechanów, in Poland, in 2007. We make the decision to relocate part of our facilities from Anleo in order to produce commodity cheeses. Thus our Polish subsidiary now supplies our plant in Anleo with cheese to be further processed or grated, and also has its own line dedicated to the production of demineralized whey powder. Our group experience has taught us much about how to diversify and to bring what we have learned to different and diverse places. It is what has permitted us to become who we are today. 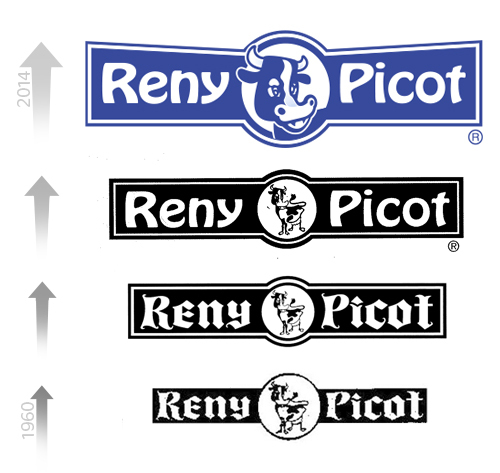 It has always been our mission to bring our flagship brand Reny Picot to as many parts of world as possible, to build a company that believes in the efficient use of raw materials through the most advanced technologies of our time, and to provide to our customers in all our business segments the widest range of dairy products of the very highest quality. While in the process of setting up our new company back in the 1960s we were looking for a brand name that would reflect the high quality of our business and our product. French cheeses have always been known worldwide for their quality and excellence, and it was for this reason that we decided to choose a name that had a French flavour: René Picot. However, when we came to register the business we were advised that a proper name like René Picot is difficult to register, unlike more general names that can simply be recorded in the General Registry of Trade Marks. Thus we decided to adapt our choice slightly to Reny Picot.